How’s that backlog coming along? Doing good? Here’s two more episodes for the pile! They’re both pretty good but involve spoilers. So for the sake of the stragglers who haven’t caught up yet, I’ll keep my mouth shut. Enjoy and we’ll be back next week! Olé! It’s time for Ohranger! These 8 episodes are full of nothing but amazing and awesome things. Episode 1 is, quite possibly, one of the best opening episodes you could ask for in a Sentai. Ohranger is a show that tried to be slightly different from the shows before it and these eight episodes showcase that pretty well. Episode 1 is unlike any other Sentai first episode, and is an incredible breath of fresh air in my opinion. You’re gonna be blown away by it. You’ve probably heard a lot of things about Ohranger, but nothing can really prepare you for actually watching this wild ride. 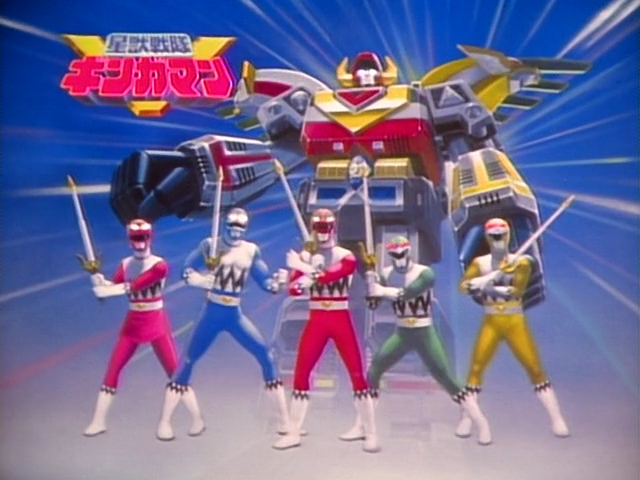 The intent with Ohranger was to do a throwback to the military shows of the 80s, and celebrate Sentai’s history. Every single creator who had ever been a head writer for a Sentai season contributed scripts to Ohranger. This staff included head writer Noboru Sugimura, and episode writers Shouzo Uehara, Hirohisa Soda, and Toshiki Inoue. The Ohranger villains, the Baranoia, were intended to be portrayed as brutal terrorists trying to intimidate Earth into surrendering to them. Ohranger’s backstory involved the heroes having gained a mysterious superpower unlike any other from the ancient super-civilization that once existed on the continent of Pangaea. Unfortunately, shortly after the show’s launch, the real-life terrorist cult Aum Shinrikyo, whose leader actually believed he’d inherited secret superpowers from a lost civilization, launched a real-life terrorist nerve gas attack on a subway station killing 15 and injuring 30. Everyone involved with the series felt this made it impossible to produce the show as originally envisioned. 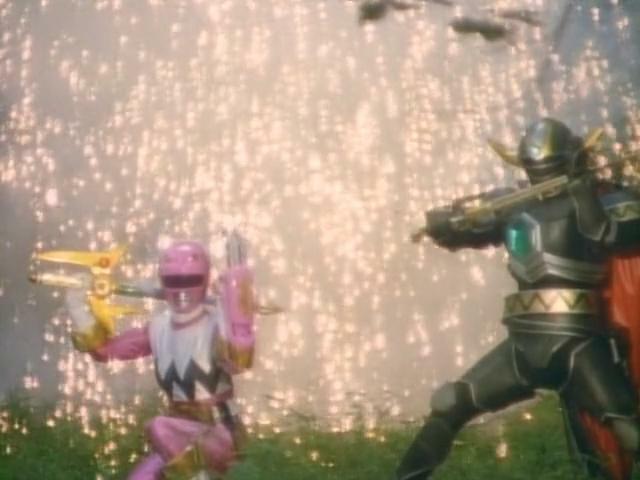 Ohranger staffers have confirmed that at that point, the decision was made to take the series in a different direction. The first 8 episodes contained in this batch contain Ohranger’s first story arc. It is not known with certainty at what point the show’s content began to be modified as a result of the nerve gas attacks. Based on airdates and accounting for production time, it seems likely that the first impacted episode was either 8 or 9. Presented here is a glimpse of the show that might have been. Future releases will show off the series that Toei ended up making instead. 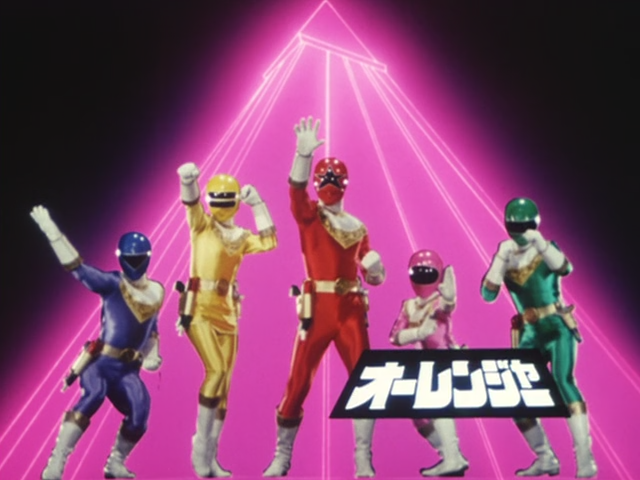 The “Cho-Riki” in Ohranger’s title is written 超力 in Japanese, combining the characters that could be individually translated as “super” and “power.” This has lead to a lot of prior fansubs of Ohranger rendering the show’s title as something like “Superpower Sentai Ohranger,” which isn’t wrong. But “superpower” in Japanese is usually written with the word 超能力. Ohranger’s 超力 is a term that’s much less commonly seen, and is most often used as a setting jargon term in anime or tokusatsu where it appears. You may also notice that we’re translating the villain names differently than most websites and prior fansubs did. Our research into the series indicated that all of the villains’ names were meant to be taken as references to different breeds of dogs. This suggests Baranoia was supposed to have a sort of animal motif to them, also reflected in the ape-like Barlo Soldiers and the octopus-like Takonpas. Ohranger is not incredibly consistent with presenting this motif, but we decided to translate the references where we could confirm they were definitely there. Unlike the past shows we’ve done where I was at least familiar with the first 10 or so episodes, I went into Gingaman completely blind. I must say though, I was pleasantly surprised. Gingaman is an interesting little fantasy series that reminds me a bit of Zyuranger. The first 12 or so episodes are your basic character intro episodes, but they’re kid of neat. After that is when things pick up and get really good. If you’re on the fence about watching this show, then my advice would be that if you like Zyuranger and/or Goseiger then you’ll like Gingaman. They’re all very similar shows, and I could totally see those teams in a movie together. Time for a history lesson! After being the producer for Carranger and Megaranger, Shigenori Takatera would make Gingaman his last show as producer. After Gingaman, his next work for Toei would be Kamen Rider Kuuga, followed by the first half of Kamen Rider Hibiki. Hibiki was the last show Takatera ever did for Toei, but if you want to watch more of his work, check out the Daimajin Kanon TV series. While Takatera made Ginga his last Sentai, Kobayashi Yasuko made it her first as head writer. She previously wrote 13 episodes of Megaranger the year before (All pretty good ones to, I might add). She’d later be the head writer on Timeranger, Shinkenger, Go-Busters, and ToQGer. If you’ve seen these shows then you’ll definitely be able to see some elements of Gingaman that she’s reused in her other shows. That’s not a bad thing though, because Gingaman is a great little story, and I hope you enjoy the ride along with us. Enjoy these 25 episodes, and we’ll see you again next week as usual!